Sounds like a really good recipe! Will have to try. Thanks! Thanks! I hope you enjoy it when you do! Thanks so much! The only problem is convincing my husband that we shouldn’t eat them every night for dinner…he’s determined though. Good thing they are on sale this week! Haha – definitely best not to eat them every day! Still, that’s quite the compliment from him! A very nice compliment indeed…he’s such a carnivore…me, not so much. Looking forward to trying your Spiced Bean Casserole! The rub sounds yummy, and I really wanna try it. But the 6-8 hours has me scard. I’ve never heard nor baked ribs that long in my life. Won’t that dry out the ribs? 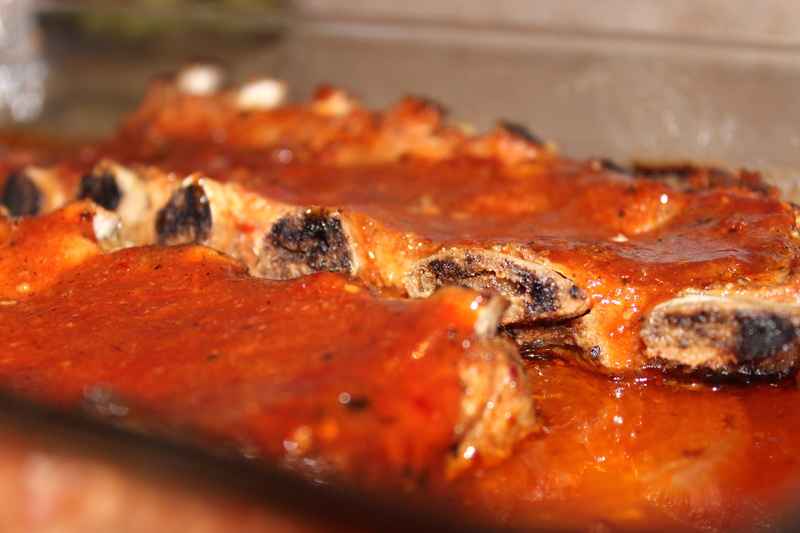 And what type of ribs do you use for this recipe? Thanx. We usually buy baby back pork ribs. They are delicious! They won’t be dry at all! The low heat and cooking them at such a low temperature will ensure they’ll stay moist. If you get nervous, you can take ’em out earlier and try them.